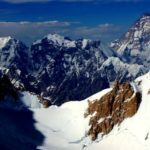 (MountEverest.net) Days ago, Canadian Daniel Griffith claimed to have achieved the fastest 7Summits record (Carstensz Pyramid version) in 187 days. Indian Malli Mastan Babu had a faster score, completing the quest (Koscuiszko version) in 172 days. So what about the third contestant - Swedish Fredrik Strang? Close but no cigar - when Fredrik summited Vinson on Saturday, December 2, he completed the world-tour in 191 days (including both Carstensz and Kosciuszko). Freds goal was to enter the Guinness Book of Records by hitting a 7,7,7 That is, the 7 highest peaks of the 7 continents, in 7 months - but ended up needing less time - 6 months and 6 days. With both versions nailed, Fredrik ended up 8,6,6. Strang started out with Everest in Tibet, which he summited on May 25 from its north side with Project-Himalaya. Well acclimatized, on June 20 Fredrik climbed Denali (Alaska) in only seven days, and then sped off to Carstensz Pyramid in July, Kosciuszko in early August and Elbrus on August 24. Late September, Fred walked up Kilimanjaro in Africa despite a stomach bug. 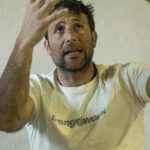 The next month in South America, he summited Aconcagua in 25 hours - and four days later found himself in Punta Arenas, Chile - biting his nails as weather prevented planes to fly out to Antarctica. 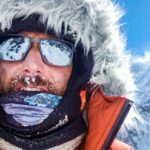 The reason for his hurry; Canadian Daniel had done Everest one day earlier than Fred (on May 24) and was now on Vinson, the final summit, as well. The Canuck finally sped up Vinson already on November 27: Fred, close behind, topped out on December 2. Strang was outfitted by UK Jagged-Globe, whose members got trapped in a storm on Vinsons headwall. Yet by then, Fred was already back from the summit. Yes, Fred was a member of the Jagged Globe Team, JGs Simon Lowe told ExplorersWeb. 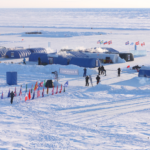 But, as the team was delayed in Punta Arenas before flying to Patriot Hills, he realized he had to climb more quickly than scheduled if he was going to climb Vinson in time for his record. So, he accompanied another team to the summit, as they were a step ahead of ours. He then rejoined our team again at camp 3, and was with them for the descent. So what about the overall winner - Malli Mastan? He had a different approach. Going for the Koscuiszko version, Malli started out not with Everest but with Vinson - summiting the peak on January 19. He followed up with Aconcagua in February, Kilimanjaro in March, Koscuiszko in April, Everest May 21, Elbrus in June and Denali finally, on July 10, 2006. 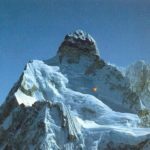 When climbing was banned on the Carstensz Pyramid both versions became valid; and that makes the Indian climber the fastest 7summiteer overall - while Griffith holds the record for the original version. Final score: Indian 172 (Koscuiszko), Canadian 187 (Carstensz), and Swede 191 (both versions but none in record time). According to 7summits.com, the previous record was held by Andrew Salter (UK) who completed the Carstensz version in 297 days. His last summit was Aconcagua, summited on March 9, 2001. 1. Ed. 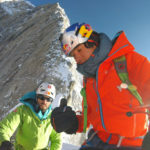 Note: During his summit bid on Everest, Fred witnessed the death of Thomas Weber - check his report in the links section. 2. Ed. 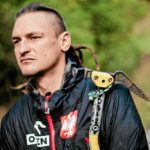 Note: There have also been several Seven summit ski descents; Davo Karnicar's presently the only valid as he alone has skied Everest from top to bottom without removing his skis. 3. Ed. 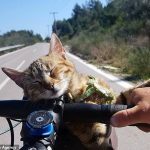 Note: Extreme adventure news arrive at ExplorersWeb every day and we only have resources to cover the most important events. As most Seven Summits are minor climbing peaks, ExplorersWeb will now limit its coverage of the tour. While the "Seven summits" describe the highest summit on each continent, the peaks do not represent the tallest mountains on earth. 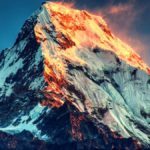 With an average climbing altitude of 5693 meters (including both versions), many of the "seven summits" are trekking peaks with summits situated lower than Everest BC. All except one (Everest) have summits lower than the average camp 1 on 8000 meter peaks. With the normal routes in addition offering few technical difficulties, there have been hundreds of 7summiteers over the last few years compared to the only 12 people in the world who have climbed the earth's tallest peaks (the 14, 8000ers). Although popular for its traveling opportunities, the 7 summit quest is considered superficial in terms of mountaineering challenge. 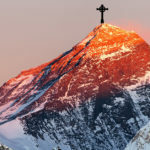 Originally initiated by American businessman Richard Bass, the tour however offers surprising media value as the "seven summits" often are confused for the world's highest mountains. Fredrik Strang has summited Everest twice (2005 and 2006, north side, using O2) and Dhaulagiri in 2003 (first Swede). His speed 7 Summits were - Everest: May 25; Denali: June 20; Carstensz Pyramid: July 18; Kosciuszko: August 10; Elbrus: August 24; Kilimanjaro, September 22; Aconcagua: October 21; Vinson: December 2. Last word on Seven Summit speed claims? Image of Fredrik Strang, courtesy of his website (click to enlarge).